Though we’re all fundamentally the same underneath from a spiritual point of view, the truth is that our body types are often different. You might find that you respond better to training than other people, or that you’re more likely to suffer from an inability to gain muscles. Your body type has a direct impact on the way that you respond to workouts and exercise. 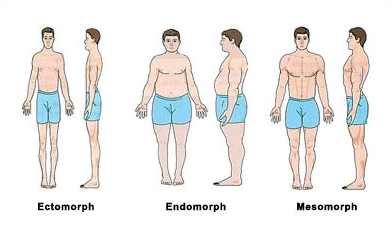 The three basic body types are: ectomorph, mesomorph, and endomorph. While you might dominantly characterise yourself as one of these types, you may also experience “shades” of the others. Your body type should dictate exactly what kind of diet and workout routine you choose to give you the body of your dreams – so let’s explore a little further. Ectomorphs are people who struggle to gain muscle. They’ve been lean and skinny most of their lives, and seem as though they can eat anything without gaining weight. Most of the time, these people lose weight easily, struggles to gain weight, has long limbs, and low amounts of body fat or muscle. If your body is located in the Ectomorph category, then you might struggle to gain muscle and weight. That means that the best diet for you will involve eating a lot more than usual. In other words, you need to overshoot the needs of your body and create a calorie “surplus”. 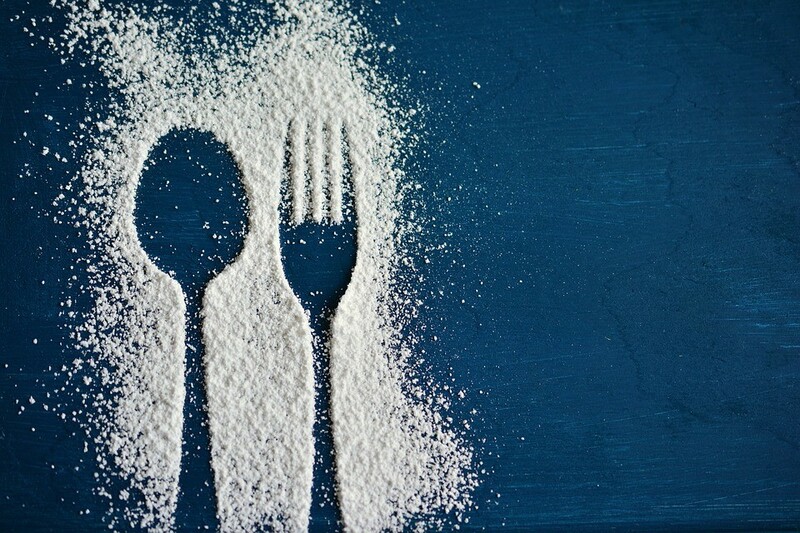 This doesn’t mean that you have to force down thousands of extra calories each day, but you can work your calorie intake up slowly to create a healthier body. While you’re working on your diet, remember to exercise! The best work outs for Ectomorphs often include a lot of heavy, compound weightlifting. Most of the time, the best options are high-frequency workout programs – but you’ll need to talk to your online fitness coach and be careful with how you gain weight. After all, even if you’re not trying to figure out how to reduce belly fat, it’s worth remembering that you’re making a serious change to your body. Your nervous system and muscles can only take so much work each week. If you’re a mesomorph, then you’re more likely to respond well to work outs, meaning big muscles, and athletic skill. These individuals have thicker, rounder muscles, lose fat and gain muscle easily, and experience wider shoulders, with narrower waists. Mesomorphs get plenty of flexibility with their diet. You can still eat 1,000 fewer calories a day while gaining strength and muscle faster. What’s more, when cutting down calories, mesomorph’s eat less than the average ectomorph, without losing out on strength and muscle. If you want to gain weight, then add calories gradually, and remember that bulking periods should be longer than cutting periods. What’s more, high-protein, low-fat dieting works best for figuring out how to lose belly fat. In terms of exercise, you’ll need to think about emphasising compound heavy lifting, and make sure that your regular exercise volume doesn’t slip. Also, be sure that you give yourself chance to recover from your workouts. Finally, the endomorph is naturally bigger and stronger than other body types. They respond well to resistance training, and have no trouble gaining muscle, but can also struggle to lose fat. These individuals have thick joints, shorter limbs, and a higher than normal level of lean mass and body fat. Like the other body types, endomorphs need to focus on the basics of energy balance. If you want to gain muscle and weight, then you’ll need an energy surplus, whereas losing fat will require a calorie deficit. Some endomorphs suffer from insulin sensitivity, so it’s important to be careful with carbohydrates. If you respond well to the carbs you’re eating – carry on, if you don’t then start changing up your diet. In terms of exercise, endomorphs gain muscle faster than anyone else. That means that you’re going to respond well to weight lifting. Try to stick to a workout program that emphasises compound heavy lifting, and has plenty of low-weight accessory work. There are numerous differences in the traits of ectomorphic, mesomorphic, and endomorphic body types – but these changes aren’t seen in the way that they should eat and train to get good results. Eating right, training hard, and watching your figure is essential for anyone – no matter what their genes might dictate. 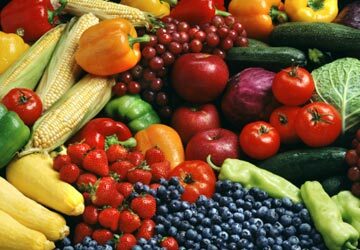 How important is Proper Nutrition to your General Health & Fitness Goals ?